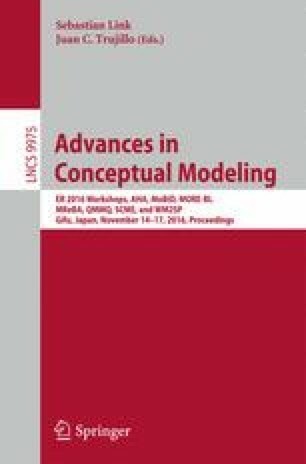 Feature modeling is a widely accepted variability modeling technique for supporting decision-making scenarios, by representing decisions as features. However, there are scenarios where domain concepts have multiple implementation alternatives that have to be analyzed from large-scale data sources. Therefore, a manual selection of an optimal solution from within the alternatives space or even the complete representation of the domain is an unsuitable task. To solve this issue, we created a feature modeling metamodel and two specific processes to represent domain and implementation alternative models, and to search for optimal solutions whilst considering a set of optimization objectives. We applied this approach to a cloud computing case study and obtained an optimal provider configuration for deploying a JEE application.